Why did the dinosaurs go extinct? We may never be completely sure, although a giant asteroid and a bunch of enormous volcanic eruptions probably had a lot to do with it. But here’s another factor you may not have considered: too much time in the egg. The upcoming movie reboot of the Mighty Morphin’ Power Rangers is filled with a mix of updated designs ranging from the good but weird to the straight-up WTF. But never would I have expected that the best movie update of them all would be for the monstrous mooks that were the Putty Patrol. If you’ve always wanted to witness a Godzilla attack from the ground level—but without, of course, the 99 percent probability that you would die during it—Universal Studios in Japan has the answer. By now, it’s no secret there are lots of winks and nods to Star Wars Rebels in Rogue One. Nor is it a secret that when the animated show returns January 7, insurgent Saw Gerrera will return as well, once again played by Forest Whitaker. 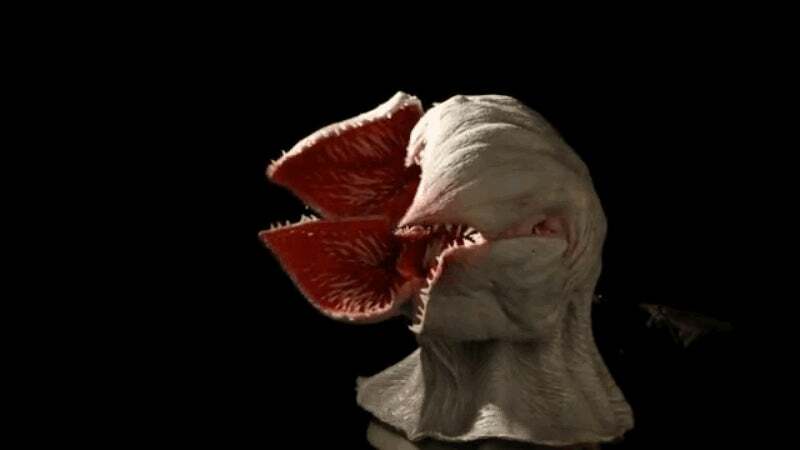 Actual, physical special effects are always welcome and seeing the Demogorgon’s head as an actual animatronic is great. But there’s something about this jerky test footage—maybe it’s that the head isn’t attached to anything—that makes it almost creepier than in the show. Although there’s been a short teaser trailer for the Japanese live-action adaptation of Hiromu Arakawa’s beloved manga, we didn’t actually get to see all that much of the Elric brothers—until now that is, even if they’re hidden in shadows and steam. And it’s a pretty reasonable assumption to make that he’ll be the writer behind anything Watchmen-related that happens this year in DC Rebirth. Sony’s animated Spider-Man movie could have a very interesting lead character, while Marvel’s new Spidey cartoon recruits two comic book webslingers. A new DC TV show is coming, and we’ll know more soon. Plus, Michael Fassbender talks Alien: Covenant, and new footage from Beauty and The Beast. To me, my spoilers! Ben Affleck has been taking his sweet time on the Batman solo flick, tentatively titled The Batman, but a recent interview suggests he might be losing interest in directing it...or, even worse, making it at all. Tyrus Wong, the artist who created Bambi’s iconic landscapes and design, passed away on Friday at the age of 106. He leaves behind a legacy as one of the most celebrated Chinese-American artists in history, but his own story is filled with discrimination and bigotry. In ruling that Chinese film The Autobots was an illegal copy of Disney and Pixar Animation’s Cars, a Shanghai court fined the movie’s producing and distributing companies $190,000 and ordered them to cease the copyright infringement. But even now, The Autobots’ director continues to say he’s never seen Cars. It was a project eight years in the making—well, technically nine now. One LEGO fan has built his own Star Trek Klingon Bird of Prey using about 25,000 blocks, based on a virtual blueprint he started all the way back in 2008.